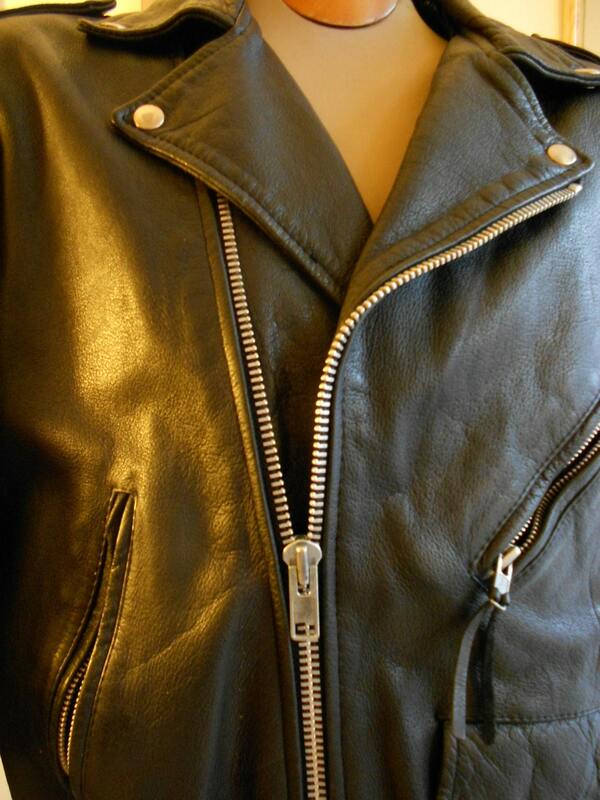 1980s leather moto 42" chest, black leather motorcycle jacket. 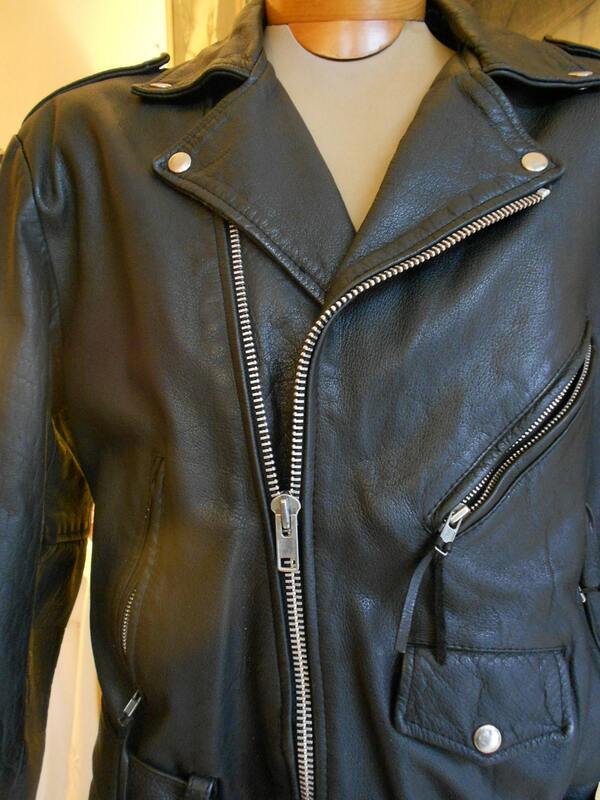 This jacket has all the bells and whistles required of a really great motorcycle jacket, heavy metal zippers, slanted pockets, silver metal snaps on shoulder holders, and at top of lapels. 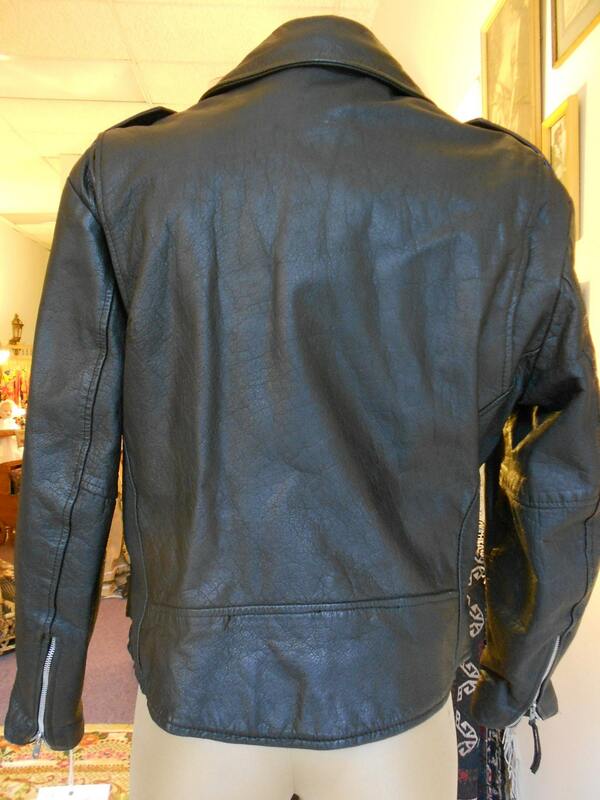 Zippers on each side pockets as well as on wrists of sleeves Large silver metal buckle on attached belt at front of jacket. 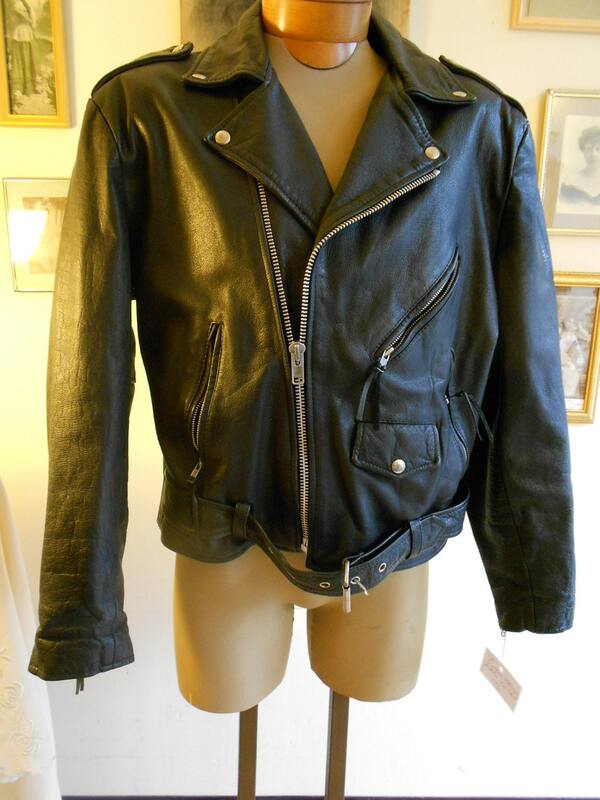 Label reads: Wilsons the leather experts".